Reading a Victoria Griffith novel awakens a voracious appetite to…read a whole lot more of them. As a result of her former career in journalism, Griffith has seen some extraordinary things, and found herself in situations that spanned from unique to dicey. With her new novel, THOSE WE FEAR, fans get yet another story placed in their hands that will have their adrenaline kicked into high gear from the very start. In this exclusive article for The Big Thrill, you’ll learn more about Griffith and THOSE WE FEAR, a story that weaves facets of three well-loved classics together to form an unforgettable tale. You have such an amazing background, especially when it comes to travel. Can you tell readers a bit about your time as a journalist? Was there one specific story that stands out in your mind? I’ve spent time with the Yanomami tribe in Brazil, been threatened by a gun-toting Brazilian politician, and almost crashed into the Amazon jungle in a plane piloted by a shifty character named Amoeba. Those experiences made fun material for my last mystery, Amazon Burning. For THOSE WE FEAR, I turned my author lens inward to explore the human psyche, which can be just as weird as the most exotic travel destination. THOSE WE FEAR is a twist on a classic Gothic tale, and in writing it I drew on my experiences as a journalist living and working in the UK. Scotland is the perfect setting. Dreary days, stone castles and misty lakes… it’s no coincidence that England was the birthplace of the Gothic thriller genre. When Heathcliff calls out for his Catherine in Wuthering Heights, readers can almost hear the wind howling across the moors. But it’s not just the landscape. Brits themselves are endlessly interesting. They aren’t as direct as Americans, they’re more subtle. That means things aren’t always what they seem, which is a prerequisite for a good mystery. British society is in constant conflict. They value true love and loyalty. Just look at some of the most romantic Royal marriages, including those of Prince Charles to Camilla, Queen Victoria to Prince Albert and Queen Elizabeth II to Prince Philip. Brits are also deeply conscious of people’s class and background. Some of the best Gothic thrillers, including Jane Eyre and The Turn of the Screw explore love that bridges a class divide. People in the UK revere tradition but yearn for modernism. That creates a wonderful tension which is perfect for writers like me. Have the real stories found in your career ever crossed over and appeared in your fiction? When I met a group of Yanomami women for the first time, they peeked under my t-shirt to see what I looked like. To them, I must have seemed very exotic. That was one of many scenes from my time in Brazil that made it into my novel, Amazon Burning. In THOSE WE FEAR, I drew on things people had said in real-life conversations to help create my characters and dialogue. Even in the most civilized setting, people say and do the most uncivilized things. Are any of your main characters, such as Maria in THOSE WE FEAR, based on real-life people you’ve met? Do they perhaps share shades of your own psyche? Unless it’s a secondary character, like the crazy pilot named Amoeba in Amazon Burning, I steer away from straight-forward depictions of people I know. But I do like to weave bits and pieces of real-life personality traits into my fictional characters. I also get inspiration from films (Hitchcock is a favorite) and classical fiction. For instance, I love the idea of taking a classic character and imagining her/him in a modern setting. What would be different about them? What would be the same? For THOSE WE FEAR, I drew inspiration from Jane Eyre, as well as the anonymous protagonist of The Turn of the Screw. As far as my own psyche, I wish I could be as brave as Maria in THOSE WE FEAR, but if I ever had some of her experiences, I would probably just run for the hills. 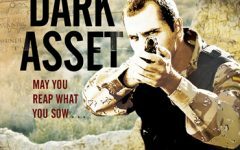 Was there ever a time when fiction writing was not a part of your “thoughts for the future?” If so, when did this creative gene first hit to become a full-time novelist? I’ve been writing fiction since I was a little kid. But during the years when I was working as a full-time journalist, it was hard to find time for creative writing. Reporters are always chasing the latest story. I was always on deadline. Now I’m lucky to be able to focus more on my books. Simply having time to write makes all the difference. But I still value the training I got as a journalist—the importance of hooking your reader right from the beginning, the craft of drawing people into your story. And I still work toward deadlines. Sometimes those are set by my publishers. I also try to set goals for myself—a certain number of words per day, or per week. Even if I don’t meet them all the time, it helps to keep me on track. Is there a specific way you work? Sometimes I’ll head to a cafe with my computer, preferably one where I don’t know the Wi-Fi code so I won’t be tempted to go online. That helps me concentrate on my writing. I’ve heard other authors say that they don’t always know where a story is going, they let the characters take over. With mysteries, I find I need a plan. Before I start a novel, I come up with an overall plot outline. I often use morning shower time to “map out” the next chapter or so. I write whenever I can. When I’m on deadline, I’ll even bring my computer to the dentist, on a long car ride, or on an international flight. Being a journalist must toughen you up, I assume, which would allow the fiction writer to work through any ill feedback. What would your advice be to the new or “trying-to-get-better” writer when it comes to accepting and/or neglecting criticism? I like that you say “neglect criticism.” That’s actually been the hardest part for me. As a journalist I was trained to accept my editors’ opinions, not challenge them. Welcoming feedback is important, but if something really doesn’t seem right to you, my advice would be to follow your instincts. As I’ve worked to find my voice in fiction, I’ve actually learned to tune out certain suggestions. Finding the balance between accepting and neglecting criticism is key. New writers should find some great beta readers, listen to what they have to say, and take the time to reflect. Sometimes their comments will touch a nerve, hitting on something you also had doubts about. Even if it means a major overhaul of your work, you should really pay attention to that criticism. But if you think about the feedback for a few days and the comments still seem out in left field, accept that not everyone will love your work and move on. Is there a genre you wish to branch into one day? I’ve done everything from picture books to non-fiction. I really enjoy writing mysteries and thrillers, though, so I think I’ll stick with that for now. Fortunately, there’s a big audience for that kind of book. THOSE WE FEAR has one of the best and most intriguing descriptions in the world: What do you get when you cross The Turn of the Screw and Jane Eyre with Psycho? Can you give readers a sneak-peek at the story? In THOSE WE FEAR, I explore modern terrors like ISIS, but I balance that with terrors that come from within. Actually, those two things are related, since many of the people joining ISIS seem psychologically disturbed. The Turn of the Screw, Jane Eyre, and Psycho all delve into the horrors that lurk in people’s souls. 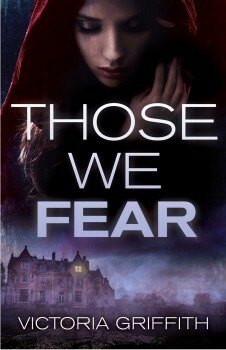 While THOSE WE FEAR has some serious themes, at heart it’s a fun (though frightening) ghost story. And most ghost stories explore real-life emotions: our loves, our hatreds, our betrayals. I’m working on a political thriller right now. More information to come! If there is a writer (alive or dead) who you could have lunch with, who would it be? And if I were a fly on the wall, what would be a topic of conversation I might overhear? I’d love to have lunch with Gertrude Stein so I could ask her what she really thought of Ernest Hemingway. And, as a mystery writer, I’d also be thrilled to meet Shakespeare so I could ask him to once-and-for-all settle the debate: Did he really write all those plays and sonnets by himself, or was there a plot to conceal the true author? Victoria Griffith never has to worry about is being asked a question like that—this is an incredible author who has not only written about adventure, but has lived it. I’m thrilled she decided to share her tales and imagination with the rest of us. Victoria Griffith is the author of the acclaimed YA adventure Amazon Burning, and the non-fiction picture book, The Fabulous Flying Machines of Alberto Santos-Dumont, which won numerous awards, including the prestigious Parents’ Choice. Before becoming a full-time author, Victoria spent twenty years as an international journalist, fifteen of which were as a foreign correspondent for the UK’s Financial Times. During that time, in which she served as the newspaper’s US science correspondent, followed by a stint as its’ representative in Brazil, she covered a wide range of topics, including architecture, space exploration, the human genome, the growth of the Internet, and Brazil’s Yanomami Indians. Environmental issues also featured and she spent some time in the Amazon rain forest. She even managed to fit in some children’s book reviews. 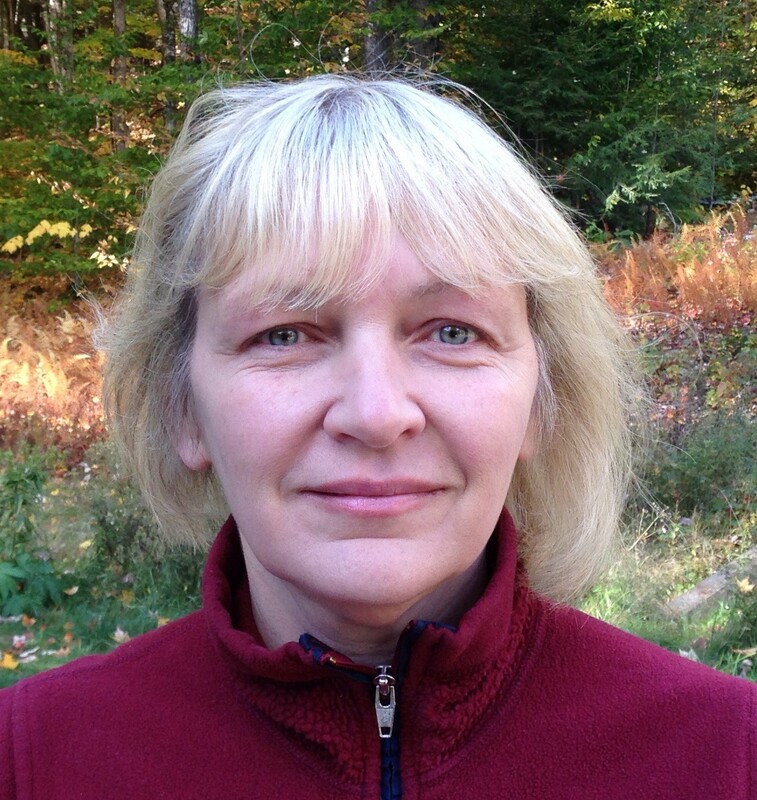 Victoria currently resides in Boston with her husband and three daughters.